Cathy moved to Calgary from the Diocese of Ottawa, 12 years ago. As a registered nurse her prior work experience included serving in the Operating Room as well as in Medical and Surgical ICU. Her growing concerns about death without dignity lead her to complete a certificate in Palliative Care and also to study for an Honors degree in Theology. Ordination followed in 1994, following which she held a number of placements, including working in team parish ministry, chaplain at an Independent School, and Interim rector of a small rural parish outside Ottawa, while also serving as the Anglican Palliative Chaplain at the Elizabeth Bruyere Centre. In Calgary she has held a number of part-time positions, most recently as the Assistant at St Stephen’s for 5 years. 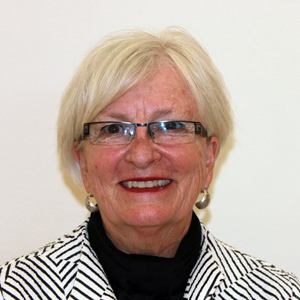 Since retiring from parish ministry in 2012, Cathy has served as the Diocesan Archivist and Registrar, and is now delighted to be an Honorary Assistant at St Laurence. She is married to Jim Smellie, her husband of 40 years; they have 2 adult married children and 3 grandchildren.